♥ Mama 2 Multiples ♥: Honey Bunches of Oats Tropical Blends Review & Giveaway! 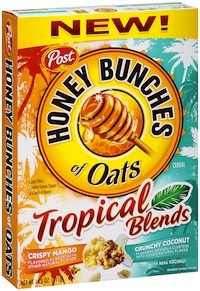 Honey Bunches of Oats Tropical Blends Review & Giveaway! I love trying new foods, and when I got the opportunity, as Purex Insider, to review the NEW Honey Bunches of Oats Tropical Blends cereal, I was excited! I love coconut flavors and this sounded SO yummy! I tried the cereal out a few days after receiving it. While I wasn't disappointed with it by any means, I think I just may not be a fan of the mango/coconut/tropical flavors combined together. I love all of those flavors separately, but combined, after trying this out, I have discovered I might not be a fan of them together. This doesn't change my opinion of the brand itself, or even this particular flavor! It's yummy, and my kiddos loved it, and they are the REAL hard ones to please! They usually are only fans of "kid friendly" cereal such as Trix, Cheerios, and Kix, but this is a new favorite for them! I was so glad to find something new that they can enjoy and that is healthy too! 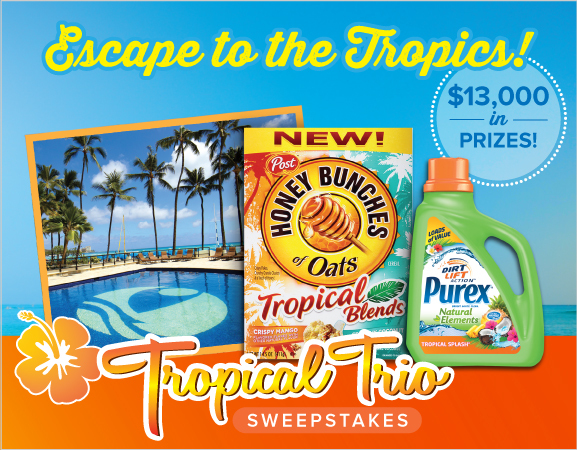 Along with this new cereal and some other new Tropical products from Purex, there is one AMAZING prize package giveaway trip for ONE lucky winner! The 2013 Tropical Trio Sweepstakes will send one winner on a tropical paradise vacation to Outrigger Waikiki on the Beach! 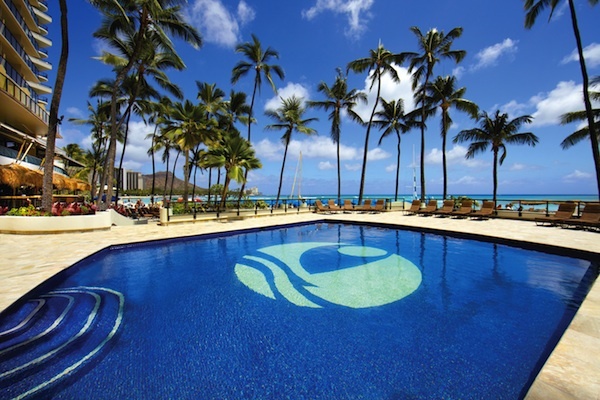 Hopeful winners can enter for a chance to spend some time relaxing in gorgeous Hawaii, exploring all Waikiki has to offer! To enter this amazing sweepstakes, fill out the form HERE! As for the cereal, don't waste any time trying that out, either! 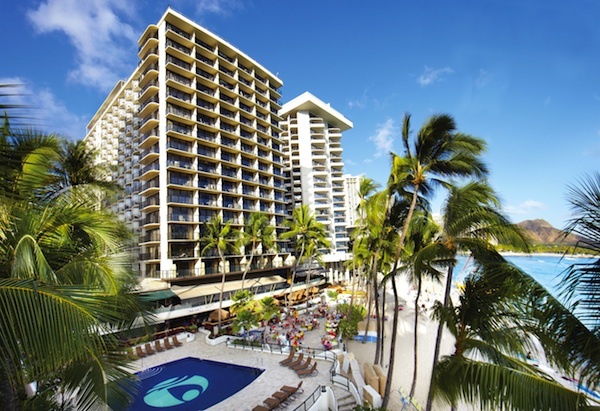 Even if you don't win the sweepstakes for this amazing trip to Waikiki, you can FEEL like you are there with a bowl of new Honey Bunches of Oats Tropical Blends cereal! WIN IT: THREE lucky readers of Mama 2 Multiples are going to WIN a box of Honey Bunches of Oats cereal, whether it be the new Tropical Blends flavor, or another favorite of yours! To enter, simply follow the instructions and fill out the form below!